Warner Brothers Home Entertainment has just added Black Mass to its release roster, scheduling the movie about mobster boss James “Whitey” Bulger for release on Blu-Ray Disc and DVD in February. 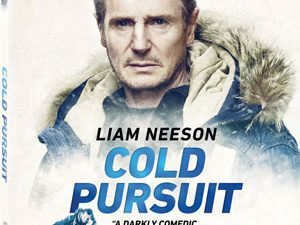 In 1970s South Boston, FBI Agent John Connolly (Joel Edgerton) persuades Irish mobster James “Whitey” Bulger (Johnny Depp) to collaborate with the FBI in order to eliminate a common enemy: the Italian mob. The drama tells the story of this unholy alliance, which spiraled out of control, allowing Whitey to evade law enforcement, consolidate power and become one of the most ruthless and dangerous gangsters in Boston history. 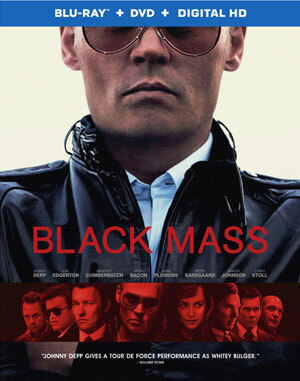 “Black Mass” also stars Oscar nominee Benedict Cumberbatch (“The Imitation Game”) as Whitey’s brother, powerful State Senator Billy Bulger; Rory Cochrane (“Argo”) as Steve Flemmi, Whitey’s closest partner in crime as FBI Special Agent in Charge Charles McGuire; Jesse Plemons (TV’s “Fargo”) as Whitey’s main henchman, Kevin Weeks; and Kevin Bacon (“Crazy, Stupid, Love.,” TV’s “The Following”). The DVD version will contain a sole bonus, the Featurette ”Johnny Depp: Becoming Whitey Bulger”. “Black Mass” will arrive in stores on February 16 and can be yours to own for $35.99 on Blu-Ray Disc or $28.98 on DVD.